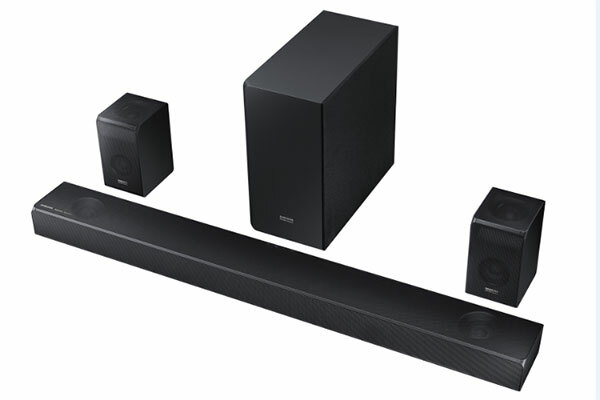 Samsung Electronics announced today that it released two co-branded premium soundbars – the HW-N950 and HW-N850, in collaboration with Harman Kardon, the renowned consumer audio brand. Available beginning August 20, the HW-N950 and HW-N850 feature both Samsung and Harman Kardon’s logos to represent their new partnership. The HW-N950 and HW-N850 soundbars are the first major collaboration between Samsung and Harman Kardon to enter the premium category. Also, thanks to the addition of DTS’ proprietary DTS:X technology as well as Dolby Atmos, consumers can enjoy immersive and rich three-dimensional sound. With the HW-N950 and HW-N850, consumers will feel like they are in a theatre without leaving home thanks to Dolby Atmos and DTS:X technologies, plus up and side-firing speakers that move sound naturally above and around listeners. The HW-N950 especially is equipped with a main unit, four speakers and two wireless surround sound speakers, offering an incredibly immersive sound experience. Also, thanks to its 7.1.4 channels, the largest number of channels currently available in a soundbar, the HW-N950 features a built-in wireless subwoofer and rear wireless speaker kit to round out the premium audio experience. The HW-N850, a more simplified version of the HW-N950, boasts a 5.1.2 channel featuring a main unit speaker and woofer. “Samsung is the world leader in soundbars and we are extremely proud that they are enlisting HARMAN to enhance their audio quality and play a key role in growing their premium soundbar business,” said Dave Rogers, president of Consumer Audio at Harman.